October is here and that means that Spooktacular is coming! Deck out your car with spooky accouterments and join us for Trunk or Treat from 5:00 – 6:30 pm. 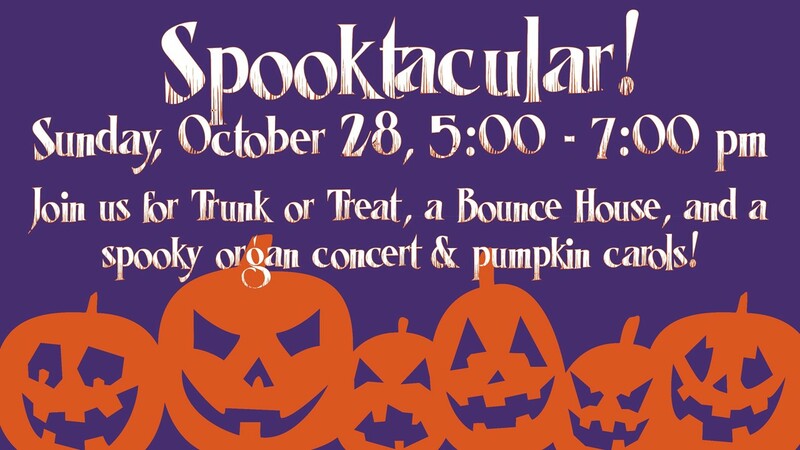 Then, with a belly full of hot dogs, popcorn, and halloween treats, come on in to enjoy a spooky organ concert and pumpkin carols in the Sanctuary from 6:30 – 7:00 pm. This is a great event for the church and our neighborhood and we invite you to come and have a scary good time!